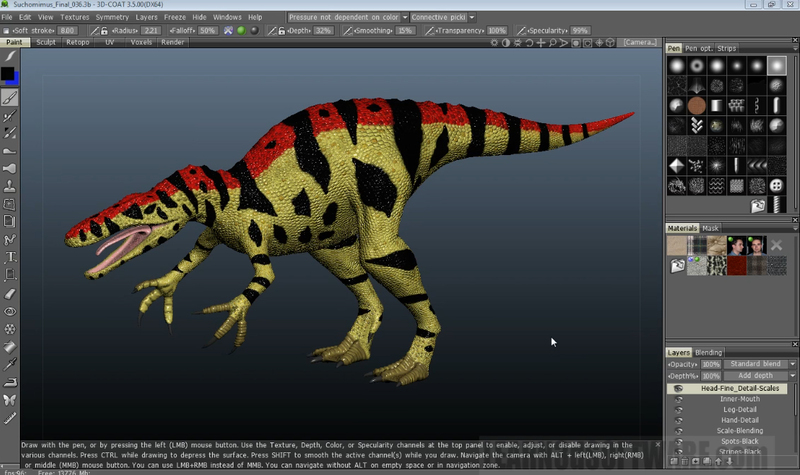 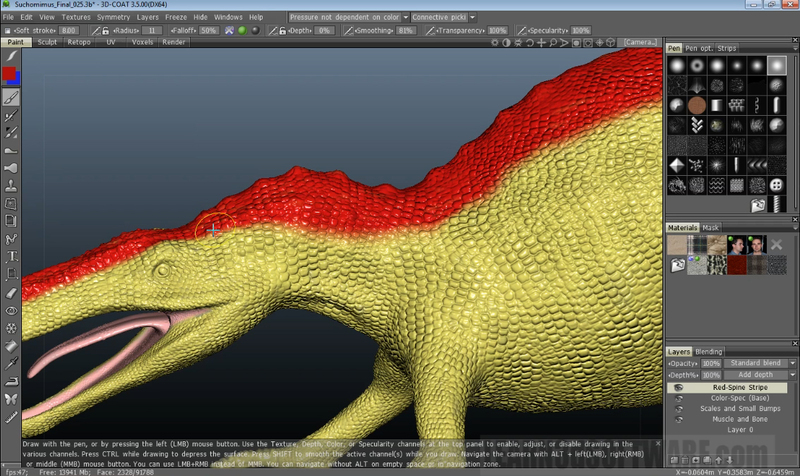 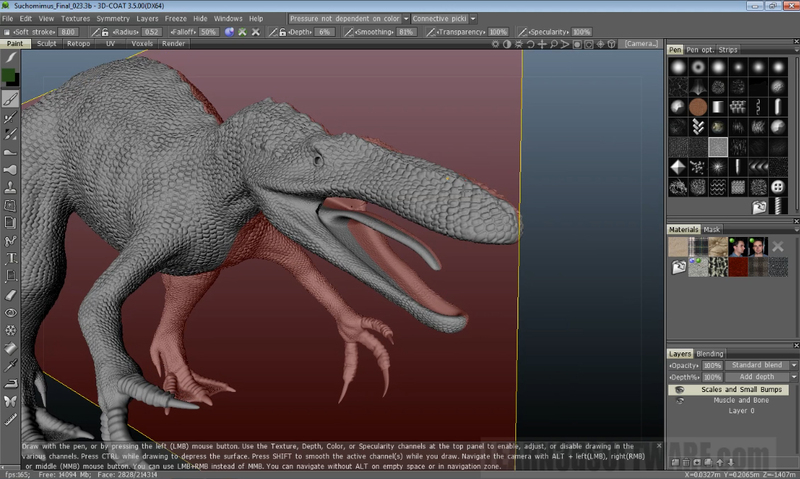 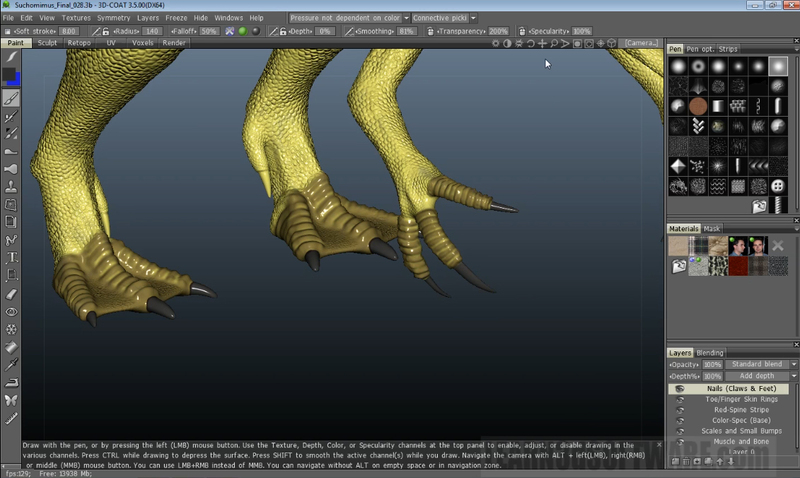 In this final video on detailing the Suchomimus Dinosaur 3D Coat/Lightwave Instructor Adam Gibson shows how to paint color on the creature to add the final details that will all be merged into Lightwave's Layout for Rendering. 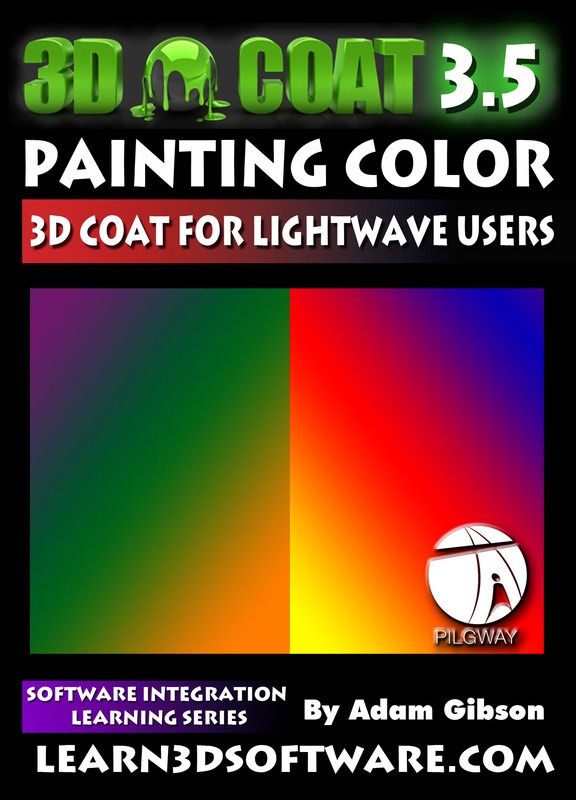 Painting Colors on a 3D object is extremely fun and also an art form that can constantly be developed. 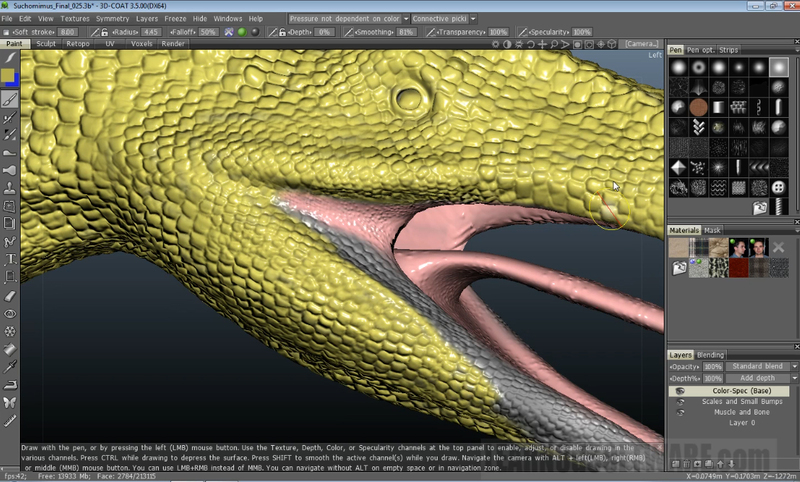 Let Adam show you some beginning techniques to get you started on detailing your own 3D Models. 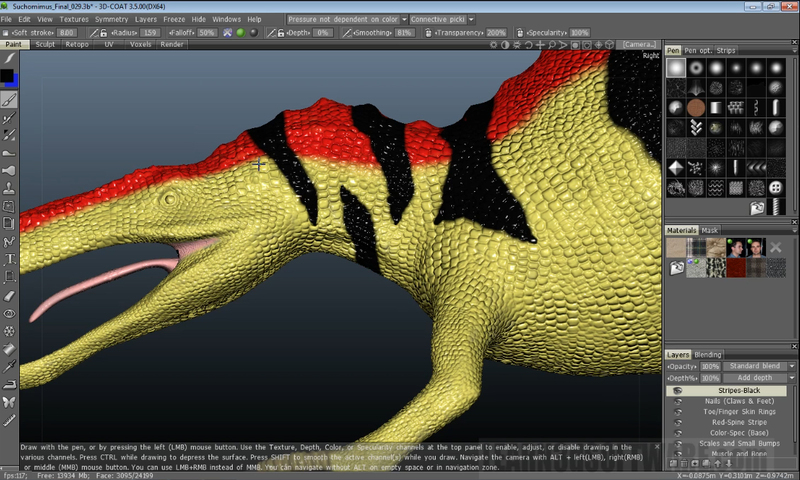 Running Time: 7 hrs 2 mins.